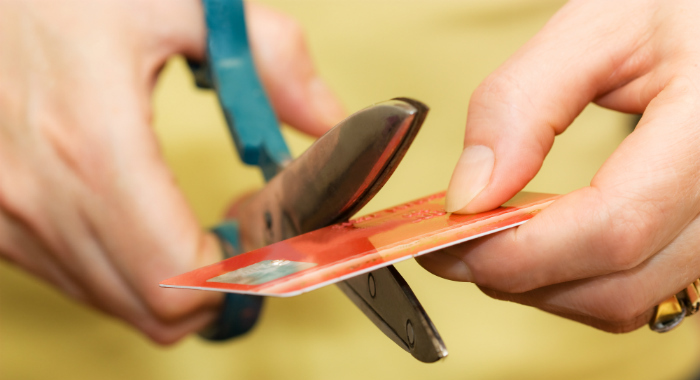 Will Not Using a Credit Card Affect My Credit Score? Despite the convenience and other perks that credit cards offer, many people choose to rely on cash because it’s more tangible and does not enable you to rack up a bunch of debt if you aren’t careful. However, cash payments obviously aren’t reported to the major credit bureaus and therefore don’t help you improve your credit standing. But does exclusively using cash actually hurt your credit score? It’s certainly fair to wonder if only using cash leads to bad credit, as your credit score includes information about your payment history on credit accounts, the types of credit you use, the accounts you’ve opened in the past year, etc. Without those things, what are you left with? The good news is that only using cash to make purchases doesn’t single-handedly hurt your credit standing. It just doesn’t help it. The exact ramifications of being a cash-centric consumer depend on whether or not you even have a credit card and/or any other types of loans or lines of credit. Credit cards are regarded as the most cost-efficient credit building tools available to consumers because they report account information to Experian, Equifax, and TransUnion on a monthly basis, regardless of whether you actually use them or not. Simply having an open credit card account that is in good standing leads to a monthly infusion of positive information into your major credit reports, as it indicates that you have credit available and that you’re being responsible with it. The benefits won’t be as pronounced as they would be if you were routinely using your credit cards to make purchases and then paying them off by your due date, but simply having a credit card will nevertheless help you build credit. Not having a credit card doesn’t necessarily mean that you can’t build credit. Credit reports also track information about mortgages, auto loans, home equity loans, and other types of borrowed money for which repayment is required. Making payments as agreed will reflect positively on your financial responsibility and will lead to a higher credit score. With that said, being completely outside the credit system (i.e. not having any loans or lines of credit) will prevent you from adding positive information to your credit reports, thereby leaving you with limited recent credit history. In addition, if you’ve encountered financial difficulties in the past, you won’t be able to de-emphasize them with new info. Without a steady flow of new, positive information to your credit reports, the information that is already in your files with the major credit bureaus becomes all the more important to your overall credit standing. In other words, if you’ve missed credit card or loan payments; defaulted on a credit card, loan, medical bill, or phone bill; or a court has ordered that you owe unpaid taxes or child support anytime in the last seven years, that information will be front and center on your credit reports without new information to devalue it. The same is true of bankruptcy records, which remain on your reports for 10 years. At the end of the day, it’s simply a mistake not to have a credit card because that will prevent you from building or improving your credit. So, even if you want to continue using cash to make all of your purchases, you should at least open a credit card and lock it in a drawer so you can get a steady stream of positive information into your credit reports. You can even cut up your card if you don’t trust yourself. Just make sure to write down your account number somewhere (but leave out the expiration date and the three-digit number on the back so you can’t make any purchases online or over the phone). If you can’t get approved for a regular credit card because of past mistakes, a secured credit card is a great option. Secured cards are very easy to get and less risky to use than normal credit cards because they require that you place a refundable security deposit that acts as your credit line, prevents overspending, and protects the issuer against the threat of default. You can also control your available credit by adding to your deposit over time. Still, it’s important to keep in mind that cash-only consumers effectively subsidize the expenses of those who pay with plastic. Merchants don’t usually charge more for card-based transactions, but they have to pay card processing fees. As a result, they have to factor those costs into their product prices, which means you pay the same amount as plastic users without reaping the same benefits in terms of rewards or 0% financing. PREVIOUS ARTICLECan You Use a Debit Card as a Credit Card?NEXT ARTICLE Will a Denied Credit Card Application Affect My Credit Score?